Bringing Therapy Home is the only private practice in the area that has a team of a speech-language pathologist and an occupational therapist that are certified in Early Start Denver Model. ​Marena Mitchell and Sarah Eller are the 3rd and 4th individuals to hold the Early Start Denver Model certification in the state of Kansas. Early Start Denver Model (ESDM) is an evidence-based intervention specifically developed for young children with autism. Early Start Denver Model is a relationship focused intervention. Using naturally occurring routines, the family members and the therapists work collaboratively to increase the child's developmental skills in all domain areas. By focusing on obtaining engagement with the child, family members and therapists are able to increase a child's ability to learn and communicate during play and family-based routines. 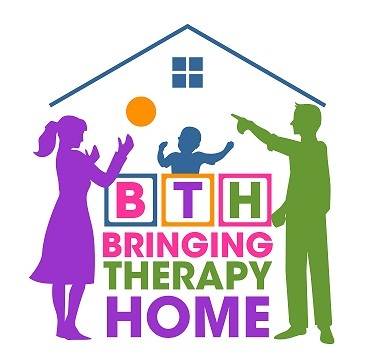 At Bringing Therapy Home, a detailed plan is developed with objectives and learning steps that focus on using positive affect, joint activities, and engagement to increase your child's communication, play, fine motor, and cognitive skills. Parents are an integral part of the session. Together, with the therapist, the family shares information about the child and the therapist shares observations and strategies on how to increase the child's skill level. By learning the essential principals of Early Start Denver Model, as the family, you are able to incorporate skills easily into your daily routines and play activities by following your child's lead and naturally embedding the skills into activities you are already doing with your child.